If your teenager is in need of orthodontic treatment, you might automatically think braces. But while this decades-old appliance is quite effective, it isn’t the only “tooth movement” game in town any more. Clear aligners are another choice your teenager might find more appealing. 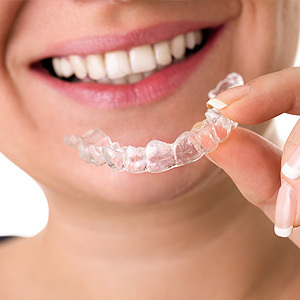 Clear aligners are a sequential set of computer-generated plastic trays that are worn by a patient one after the other, usually for about two weeks per tray. The trays are fabricated using 3-D computer modeling of the patient’s mouth, each one slightly different from the last to gradually move teeth to the desired new positions. So, why choose clear aligners over braces? They’re nearly invisible. Because they’re made of a clear polymer material, they’re not nearly as noticeable as metal braces. In fact, they may go completely unnoticed to the casual observer. They’re removable. Unlike metal braces, which are fixed in place by an orthodontist, clear aligners can be removed by the wearer. This makes brushing and flossing much easier, and they can also be removed for eating or special occasions. That said, though, they should be worn at least 20 to 22 hours each day to be effective. They’re becoming more versatile. 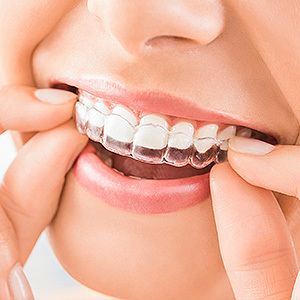 With some complicated malocclusions (poor bites), braces and other orthodontic appliances may still be necessary. But innovations like added power ridges in clear aligners can more precisely control which teeth move and which don’t. This has greatly increased the number of poor bite scenarios where we can appropriately use clear aligners. If you’d like to consider clear aligners, just remember they require a bit more self-discipline on the part of the wearer than braces. And once the treatment finishes, they’ll still need to wear a retainer just as with metal braces to help keep the repositioned teeth from reverting to their old positions. If you think your teen is up to the challenge and their particular situation can be corrected with this innovative technology, then clear aligners could be a great choice.